The first Google update of 2013 is Google Algorithm Updateseen on 17th January 2013 when all SEO results has been modified and it had been confirmed that their was a Google algorithm update has occurred. By Webmasters review it appears that this was a significant update which nearly affected 1% of search queries and this update affected search results in SERP. Shortly after Google Algorithm update, Google declared an official Google Panda Algorithm Update on 22ndJanuary 2013 . This update had affected low quality websites and 1.2 search queries. 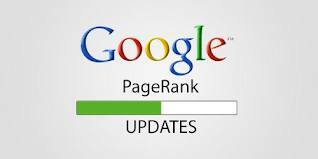 Google Page Rank Updatehas been updated on 4th February 2013. This can be a significant page rank update of this year 2013. According to this update Google will change every web site page rank and providing new PR to every web site consistent with quality of web site content and quality of back links they are having for sites.